Imagine a custom-designed pool that will stretch your imagination but not your budget. A pool so flexible that it fits the shape of your lifestyle and the shape of your backyard with perfect precision. Now imagine for yourself a family-run pool company that specializes in the installation and servicing of this pool. We've done so for more than 40 years. 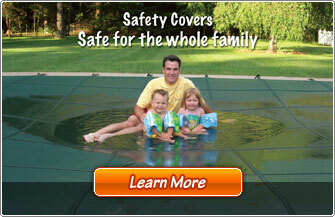 With Sunshine Pool Company you will enjoy your pool faster and with less hassle than ever before. Here at Sunshine Pool Compnay our mission is to provide "Only Quality Work" by taking care of each pool as if it were our own and treating each customer like family. Would you do this on your pool cover? 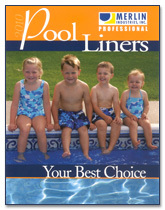 Sunshine Pool Company promises to do more for your pool than any other pool company! You can feel confident that every aspect of your pool will be receiving a complete once over. Also any needed repairs or upgrades will be made to ensure a long healthy life for your swimming pool. Your decking can be built with cost effective pressure treated lumber or enhanced with long lasting Azek decking and railing materials. We offer several models for aboveground pools and can build any design to accommodate your needs. Clean professional work. Great attention to detail and thorough workmanship throughout the job.